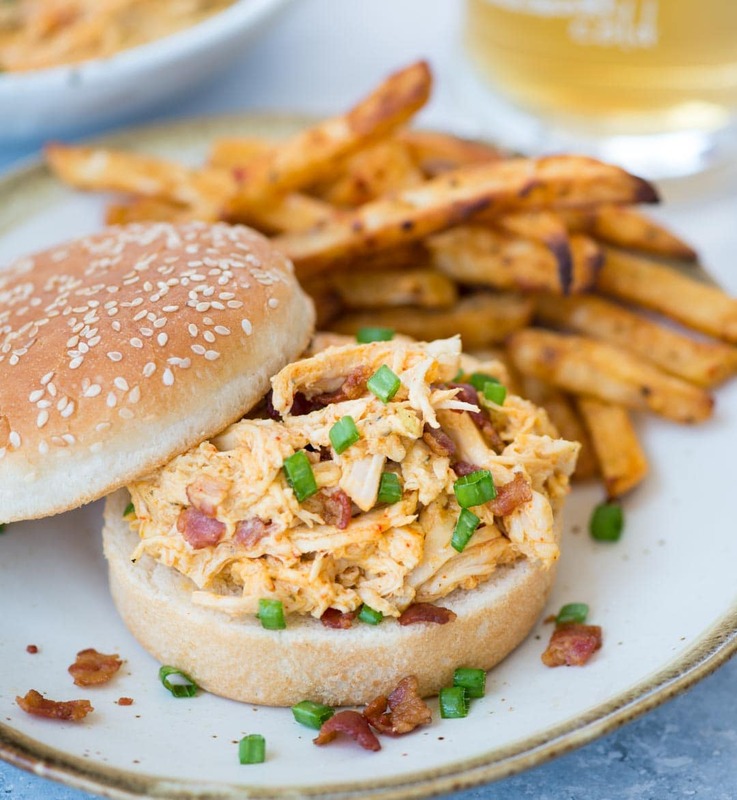 Instant Pot Crack chicken made with Chicken, Ranch Seasoning, cream cheese, Cheddar cheese and crispy bacon is incredibly delicious. This low carb, Keto chicken takes only 10 minutes to make. Crack Chicken sounds like an unusual name and I don’t have any idea how it got its name. But this chicken recipe is a keeper. 6 ingredients and 15 minutes are what you need to make this crack chicken. It is creamy, cheesy and with crispy bacon in every bite(yum..). Pile it onto a sandwich, serve it over pasta or make a wrap, this makes an awesome meal. And did I tell you these are absolutely gluten-free, low carb and can be made keto friendly? Cooking Chicken in Instant pot is so convenient. It takes less than 15 minutes (including the time to come to full pressure) to bring the meal on the table. The chicken turns out juicy and tender every single time. Most of the recipes call for the first 6 ingredients. I have tried the recipe with/without garlic and sriracha. But adding garlic adds a lot of flavours. For little extra heat, I love to add Sriracha but you can skip it. Making crack Chicken in an Instant pot is really easy. 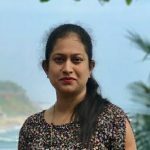 Starting from cooking bacon to the end everything can be done in the Instant Pot itself. You can cook the bacon separately on the stove top. But when cooked in the IP itself, all those brown bits at the bottom will add lots of flavours. Most of the recipes call for adding cream cheese and cheese along with chicken to cook. But cooking cream cheese and cheddar for so long kills the subtle flavours and gives a wired taste. So first cook chicken, along with seasoning. Then to the end add cream cheese and cheese. Another best thing about making Crack Chicken in the instant pot is you can use frozen chicken as well. I will provide detailed instructions in the recipe for using frozen chicken. Another easy way of making crack chicken is to cook slowly in a crock pot. 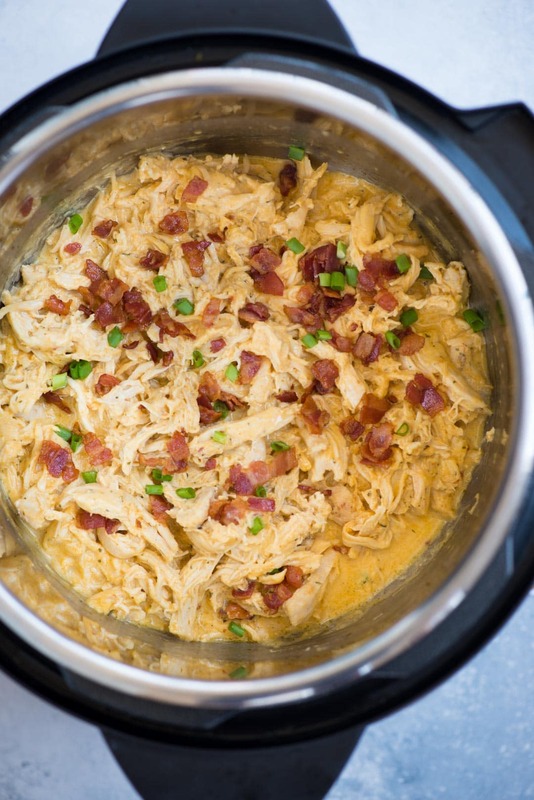 Dump Chicken, Ranch Seasoning, Cream Cheese and cheese in the crockpot and let it cook on high for 3-4 hours. Cook bacon separately and add it to the end. You won’t be needing chicken stock when cooking in the slow cooker. Bring Instant pot to Saute mode. When hot add chopped bacon. Cook bacon until crisp and brown. Remove bacon and any extra fat. Add chicken, chicken stock, ranch seasoning, garlic and Sriracha(if using). Set IP to manual mode. Set time to 7 minutes and cook on high. Then do natural pressure release for 10 minutes followed by quick release. Once the pressure is completely released, take out the chicken breast. Using two forks shred it. If you feel the amount of liquid is more, then reserve 1/2 cup of liquid from the pot and keep aside. Switch IP to saute mode again. Stir in cream cheese, cheddar until mixed well. Add shredded chicken back to the pot. Mix well. If the chicken looks too dry, then add back the reserved liquid in the previous step as required. 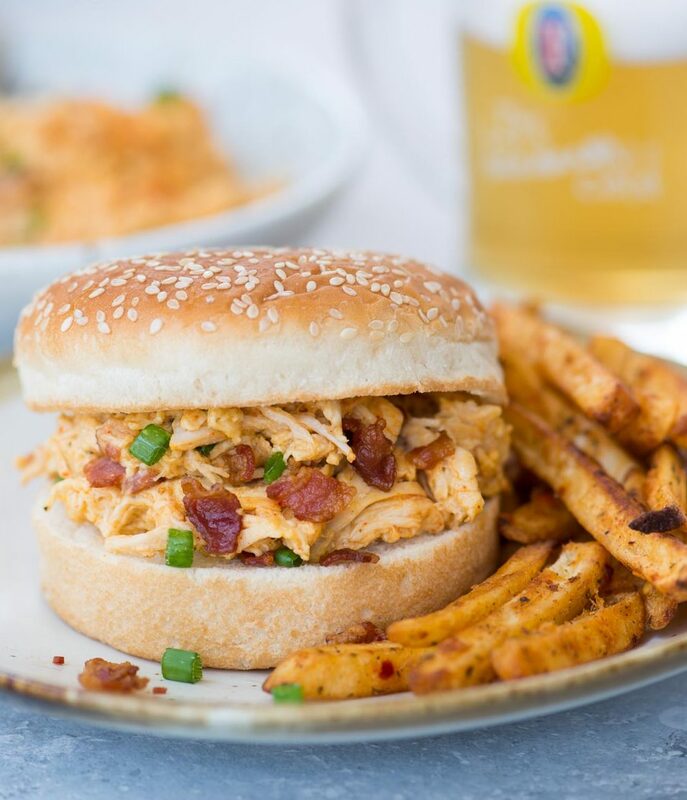 Top crack chicken with crispy bacon and green onion while serving. As I have mentioned in the post garlic and sriracha is optional here. I like to add it for the extra flavor and a bit of heat. You can skip these. If you are using frozen chicken breast instead, then the steps would be the same. Instead of 7 minutes, cook chicken for 10 minutes on high pressure. But frozen chicken breast when cooked releases considerably more liquid. So once the chicken is cooked, scoop out extra liquid and keep aside. If you feel the chicken looks too thick, then add back the reserved liquid.